It is frustrating to be forced to re-enter a password on the Internet or local PC after hitting the caps lock key on the keyboard accidentally. 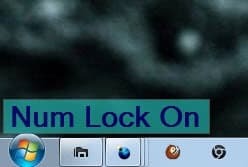 Computer users with LEDs on their keyboards can see if the caps lock key is active or not and react properly. Users with keyboards that do not have indicators for key states have to find out another way. 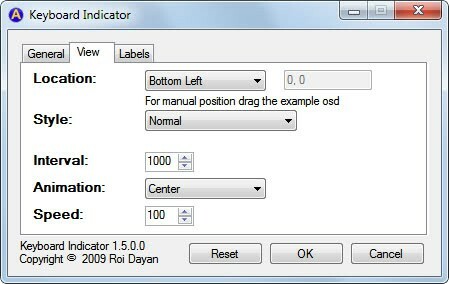 Keyboard Indicator is a program for the Windows operating system that indicates the current key state and key changes to the user on the computer desktop. The program first and foremost displays the states of the caps lock, scroll lock and num lock keys in the Windows system tray. Windows 7 users need to configure the program to always display the icons on the statusbar, everyone else should be fine with the standard setting. The program shows activated keys in red, and inactive keys in blue. The information is also revealed by hovering over an icon with the mouse. But Keyboard Indicator offers a second notification if a key state changes on the keyboard. 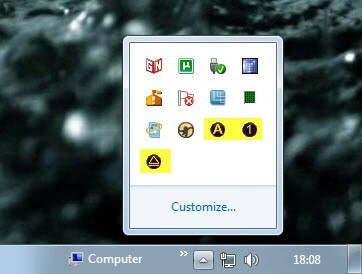 It displays an onscreen notification of the new state, configurable to be placed in one of the four corners of the desktop or a custom location. The onscreen notification displays in addition if Insert has been activated on the keyboard. This gives a direct response if a key is pressed. If it is accidentally it is possible to react right away by pressing the key again. The settings of Keyboard Indicator offer to change font colors, locations, styles and polling intervals. The program is a bit heavy on the resource side but could prove to be useful to some users nevertheless. It is available for download at the developer website. The software is compatible with 32-bit and 64-bit editions of the Windows operating system and requires the Microsoft .NET Framework 2.0. Good thing! But may be you know something similar to use with KDE at OpenSUSE 11.3? I’ve tried to find such a tool but found nothing. HAHA!!! was just about to google for a program to do this very thing since my new keyboard arrived which has no on keyboard LEDs! I use this: Toggle Keys (Win7). It’s saved me many times.